ONE IS ACCUSTOMED to speaking of Calvin as the Reformer of Geneva. It would be more precise, perhaps, to call him the pastor of Geneva, because Calvin was above all a pastor, and his work as a reformer was simply the extension of his pastoral ministry. In fact, Calvin was not really prepared for pastoral ministry. Everyone knows how he was pushed in to it one fine day in July, 1536, by Guillaume Farel. Why did Farel take an interest in this 27—year—old, a lawyer, humanist, and self-taught theologian? Because for some months, the cultured public with its avid taste for Protestant theology could speak of nothing else than his book Christianae religionis institutio, published in March, 1536. In this pocket—size book, the young man presented Reformation doctrine in a systematic way with great clarity and strength of conviction. Calvin was an intellectual and was going to Strasbourg to continue his studies; pastoral ministry was not his forte. Yet Farel got him to stay. That first stay in Geneva seems to have been an unfortunate episode. The population was not prepared to submit to the demands of foreign pastors. As a result, the government drove Calvin and Farel out at Easter, 1538. One might expect Calvin to go back to scholarly pursuits, admitting failure as a pastor. And Calvin did go on to Strasbourg. But there Martin Bucer asked him to take care of a community of French-speaking Protestant refugees and to teach at the academy. This stay in Strasbourg would turn out to be of primary importance for Calvin. Working with Bucer, he acquired what he had lacked in Geneva: experience in the pastoral ministry, the catechism, and the liturgy. During his exile, the situation in Geneva bordered on anarchy. In 1540, an official delegation came to beg Calvin to come back. Reluctantly, he returned to Geneva in September, 1541, intending to spend a few weeks, a few months at the most, just enough time to put the affairs of the church back in order. He was to die there 23 years later. How is it that during these 23 years Calvin became “the Reformer of Geneva” and Geneva became “the city of Calvin”? Did he exercise extensive political powers, those of a dictator as his detractors have claimed? Certainly not. Rather it was by preaching, organizing, admonishing, writing—in short, fulfilling his ministry as a pastor. 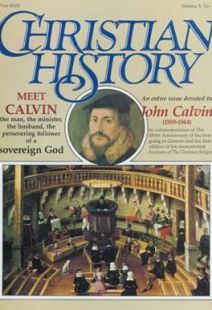 By November, 1541, the government had adopted Calvin’s Ecclesiastical Ordinances, which gave a new aspect to the Geneva reformation. In it, significantly, the preaching of the Word played a central role. In the city’s three churches, it sounded forth every day of the week; and twice on Sunday, with sermons that lasted for more than an hour. Eighteen pastors from Geneva and the surrounding county parishes formed a high-caliber “Pastors Company” that wielded considerable influence, since the church pulpits were more or less the “media” of the day. Why did Calvin insist that the pastor’s main task was the preaching of the Word? Because, in his opinion, preaching was like a “visitation” from God, through which he reaches out his hands to draw us to himself. Calvin and the other pastors occupied themselves with other matters besides preaching. According to the Ecclesiastical Ordinances, they also administered the sacraments, baptism and Holy Communion; they presided over marriages which took place during ordinary services; they watched over the proper functioning of public charity. They participated with the elders in the meetings of the renowned Consistory, which gathered every Thursday to censure, and even excommunicate, believers guilty of offenses against Reformed morality or doctrine. All this reflects the importance of the ministry which Calvin, as pastor, and his other colleagues exercised for the life of the Church and the city. The Ecclesiastical Ordinances were not enough. Calvin felt the need to provide pastors with two other texts: the catechism and the liturgy. The Catechism of the Church of Geneva, published in 1542, enabled the pastor to teach the basics of the Reformed faith by means of questions and answers spread over 55 Sundays. Memorized by children at school, repeated and explained before the whole community on Sunday, it became a key element in the formation of the faith of Genevans and other Reformed believers for nearly two centuries. The same year, Calvin composed a liturgy, the Form of Church Prayers and Hymns, which has been the basis for the order of the Reformed service to our day, and he introduced the public singing of the Psalms. The Psalter became the heart of Reformed piety. Under his direction, Geneva also became a receiving center for Protestant refugees persecuted in France by King Henry II. The rush of them was prodigious: the city, which numbered approximately 10,000 inhabitants in 1550, saw its population double in 10 years. In addition to the French, there were refugees from Italy, England, Scotland, the Netherlands, and elsewhere. Exhausted by the illness which had almost made him an invalid since the winter of 1558–1559, Calvin passed away May 27, 1564. He died as poor as he had lived, without any other title than that of pastor. * Opera Calvini XXXVI, 15–16. Dr. Olivier Fatio is a Professor at the University of Geneva in Switzerland. You don’t look to the life of John Calvin for humor, but Calvin’s quest for a wife would make grist for a twentieth-century situation comedy. Chronology of key events associated with the life of Calvin. Who was who in Calvin's world. Under Calvin’s influence Geneva became the hub of a vast missionary enterprise.